A leading antiquities dealer, H. Aboutaam, sued The Wall Street Journal on Monday (you can read the lawsuit here), asserting he had been damaged by an article in May that said he was under investigation for possibly trafficking in artifacts looted by ISIS. 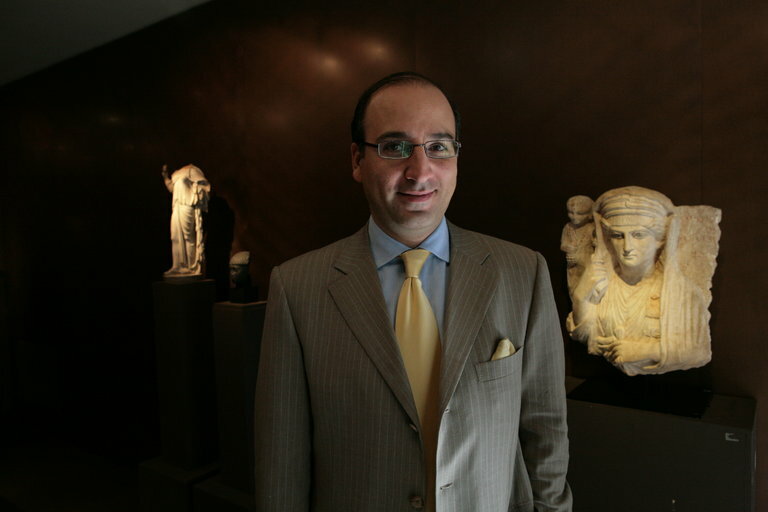 In the libel suit, the dealer, Hicham Aboutaam, said he has never handled antiquities looted by terrorists and that sales at his Manhattan-based gallery, Phoenix Ancient Art, have plummeted. The article reported that authorities in Switzerland, France, Belgium and the United States were investigating Mr. Aboutaam and his older brother, Ali Aboutaam [if you cannot open the link, try here]. After it appeared, the Toledo Museum of Art returned a $50,000 donation the gallery had made to support an antiquities-related exhibition currently on display there “The Berlin Painter and His World,” the dealer said in an interview. A spokeswoman for the Toledo museum, Candice L. Harrison, declined to comment on the returned donation. Hicham Aboutaam’s “personal and professional reputation and business opportunities have been decimated,” according to the lawsuit filed in Manhattan Supreme Court. Colleen Schwartz, a spokeswoman for Dow Jones & Company, which publishes The Journal, released a statement Tuesday that described the article as “thoroughly reported, fair and wholly accurate.” “We fully stand by the article,” the statement continued, “and will mount a robust defense to Hicham Aboutaam’s lawsuit.” The May 31st Journal article said that neither Mr. Aboutaam nor his brother had been charged with any wrongdoing in connection with the inquiries cited by the law enforcement officials. The article said the Aboutaams were on a list of 15 dealers whom French authorities were focusing on but it did not name the other dealers. A spokesperson for U.S. Immigration and Customs Enforcement, which handles investigations into the smuggling of looted art, did not return a call seeking comment. The Aboutaam brothers, like other dealers in ancient art, are no strangers to controversy. In 2004, they were mentioned in an article in The New York Times that traced the journey of a looted Egyptian artifact, which passed through their hands. The brothers said at the time that they had not realized the piece was looted. That same year, Hicham Aboutaam pleaded guilty to a federal charge that he had falsified a customs document about the origins of an ancient ceremonial drinking vessel that his gallery later sold for $950,000. In late 2016, the Justice Department filed a lawsuit against the Islamic State seeking to recover antiquities looted by the terrorist group but to date United States officials have not brought related actions against individual dealers. Patty Gerstenblith, a professor of law at DePaul University and an expert on the antiquities market, said she believed that most of the Islamic State-looted artifacts are not likely to be major ones, which would be easier to identify, but coins or small artifacts whose origins are unclear. This article was copied from the New York Times and was written by Barry Meier.